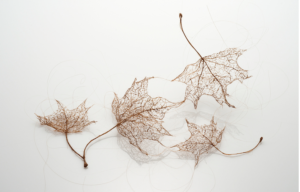 Your website features amazingly delicate work using human hair. Tell us about what this material means, why you use it, and some of the history of hair art. For the past few years, I have been attracted to working with hair. 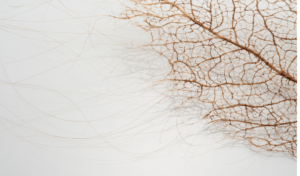 I often think of my work as dimensional drawing, and as a material, hair has the potential to produce such a fine, delicate line. I love the idea of working with detritus that is part of our everyday lives but goes unnoticed, and what it means to transform such a material and attribute meaning to it. I am also fascinated with the personal quality of hair. I love that it is an extension of the self that goes out into the world and is encoded with our unique DNA. It functions as a sort of memory or a trace. 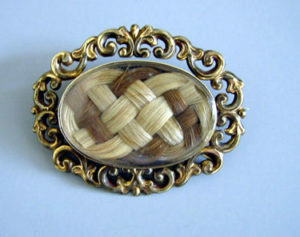 There is the reference to the Victorian mourning jewelry popular in the 1800s. And then there is of course the attraction/ repulsion juxtaposition. Hair is seen as attractive and even luxurious when it is on one’s head, and at the same time repulsive or disgusting when found as a single strand apart from the head. Your residency was in Chapala, a small town in central Mexico. You live and work in Boston. How was it for you being in such a different environment and how did it influence the work you did during the residency? Leaving behind the cold, dark New England winter for a month in Mexico was a welcome change! 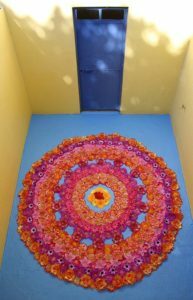 I was incredibly inspired by the light and the vibrant colors in Chapala, and I think that really came through in the installations I created while I was there. Your residency included visual artists, writers and a musician who seemed to form a special sense of community. Tell us about how this affected and inspired you during the residency. I loved getting together with the other artists and talking about the creative process. It was great having a broad background of visual artists, writers, and a musician, and I really enjoyed seeing and hearing what everyone was working on. I have kept in touch with the artists that I met, and getting to know them was definitely a highlight of the residency for me. What can you share about your creative process during your residency? What ideas were you exploring? How did your work change during the residency? 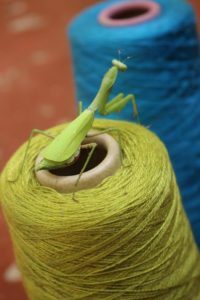 Before arriving in Chapala, I had planned to work on a weaving project during my residency since I knew I would have access to a loom. After taking several walks around the neighborhoods of Chapala, I realized that I wanted to respond to the vibrant color and light of the location. 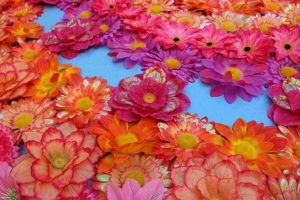 There was a shop on my street that sold fabric flowers, and every time I passed by, I stopped to admire the wall of striking colors. 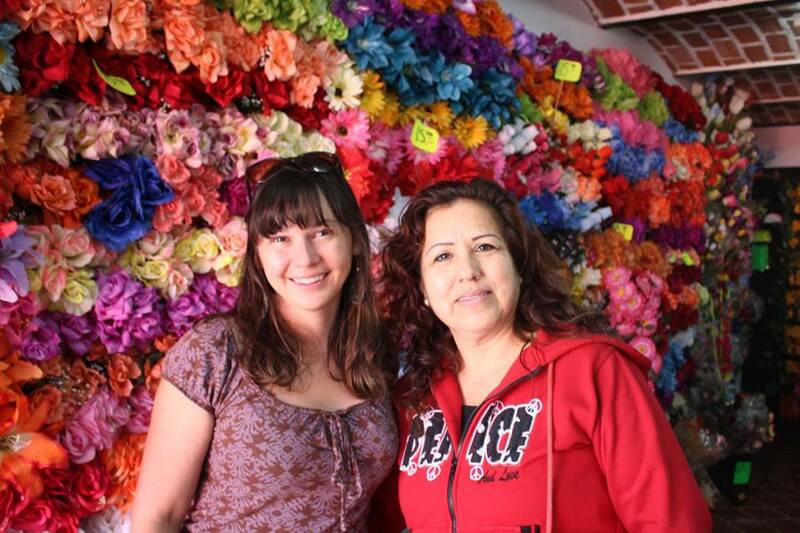 I started buying some of the flowers and soon, despite my extremely limited Spanish, I made friends with Dora, the owner of the shop and her husband Luis. They were so kind and welcoming and we shared many funny moments! At home, I would never be drawn to working with artificial flowers, but in the context of Chapala and the space where I was working, it made perfect sense. Coming from Boston, sitting in the sun and working with color in the middle of winter felt very therapeutic for me as well. I was also very inspired by the layout of the house where I was staying. On the second floor there was a room that was essentially four walls, but without a ceiling. There was a ladder where I could climb up to a higher part of the roof and look down on this space while also overlooking the city of Chapala. I really liked the idea of creating a site- specific installation in this space. You have been to other artist residencies. What was special about your time at 360 Xochi Quetzal? What were some of the highlights of the residency? What was hard or challenging? I loved having the opportunity to create my art while also experiencing a different culture and exploring a new place. Working in my studio, I would get into my own headspace, but the second I walked out the door I was immersed in another world. The whole experience was very inspiring and stimulating. Also, Cobra and Christian are so generous and hospitable. I really enjoyed getting to know them as well as the other artists. Jenine, you are preparing for a solo show at the University of Massachusetts in Amherst. What else are you working on? I’m really excited about my upcoming solo exhibition at the Hampden Gallery at UMass Amherst in the Spring of 2017. It will be my first solo-show since graduate school, and I look forward to pulling together many of the concepts and materials I have been exploring over the past several years. After living in Boston for ten years, I am getting ready to relocate! Beginning in September 2016, I will be the Fibers Artist-in- Residence for a year at the Appalachian Center for Craft in Tennessee. Where can we read about and see more of your work? 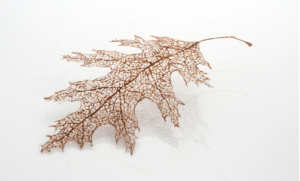 This summer, I will have a piece on view at Trestle Gallery in Brooklyn, and in September, I will have several pieces from the Leaf series on exhibition at Tower Hill Botanic Garden in Boylston, MA. Also, in October I will have a piece in the Miniartextil 2016 exhibition in Como, Italy.